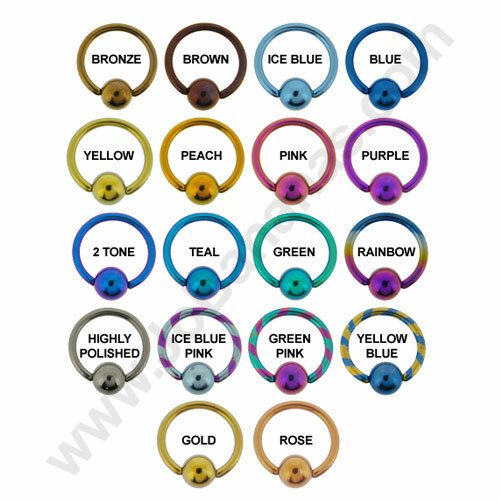 Jewelled Gold PVD Coated Titanium Ball Closure Ring 1.2mm (16 Gauge) in thickness with a choice of diameters (7mm, 8mm, 9mm, 10mm or 11mm) making this ring very suitable for a number of different body piercings, probably the most common are eyebrow, septum, ear and lip piercings but these rings can also be worn in more discreet female piercings. 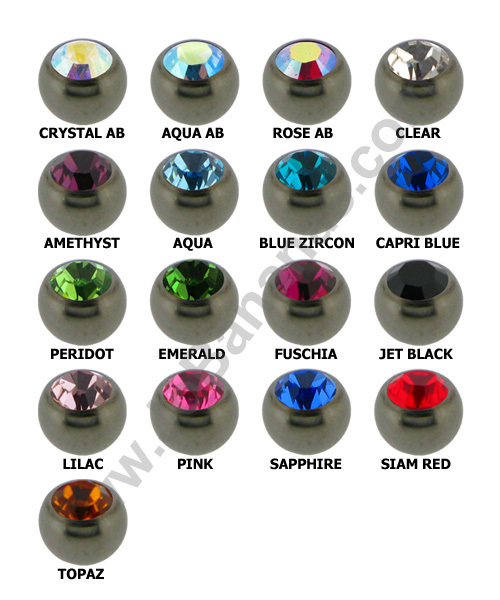 The ball is set with a stunning Swarowski Crystal in the colour of your choice, select from the following options AB Crystal, Amethyst, Aqua, Blue Zircon, Crystal, Fuchsia, Jet, Light Amy, Light Rose, Light Siam, Peridot, Rose, Sapphire. 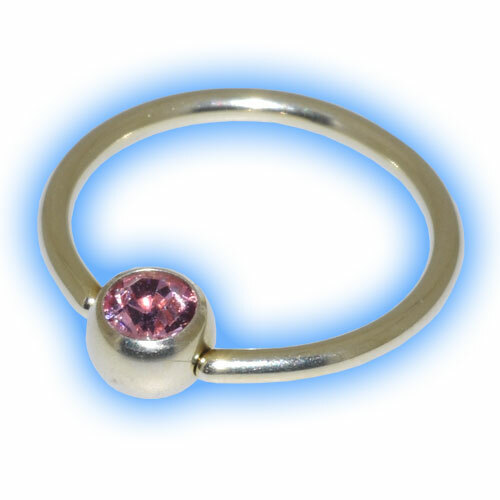 Ball Closure Rings (or BCR) are also called Captive Bead Rings (CBR) and the ball is held in place by pressure exerted by the ring into 2 tiny little dimples either side of the ball. Gentle pressure applied to the ball will cause it to pop out and then to get it back in you just need to get one side of the ring fixed into one of the dimples and then push the other side and it will click into place. 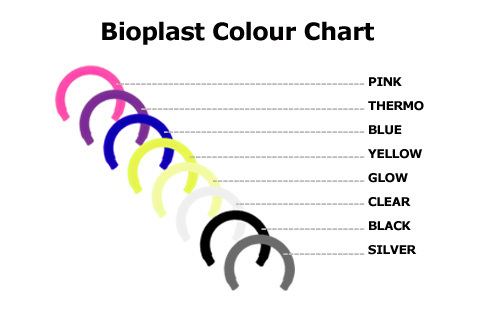 Perfect just what I was looking for, able to choose exact size brilliant. Great customer service thank you.